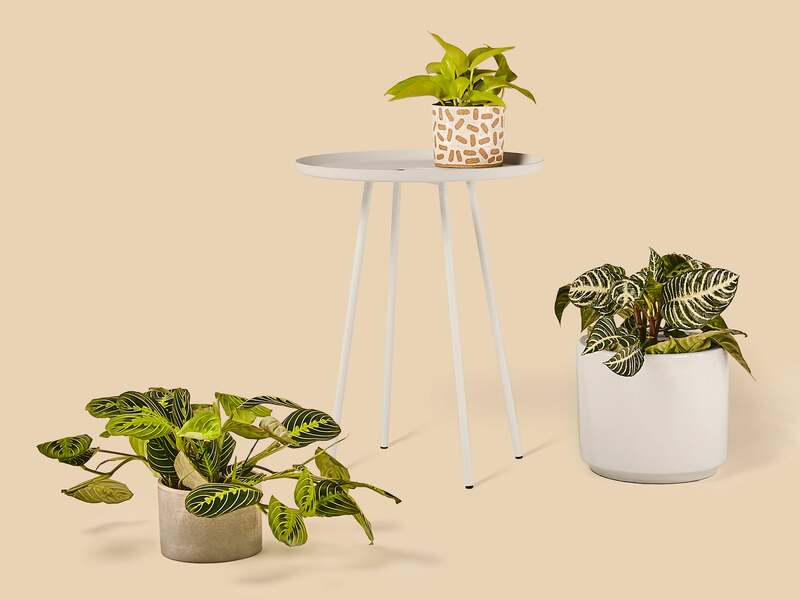 Attention, minimalists: There’s a new home furnishings brand that belongs on your radar. Introducing Dims, an LA-based furniture brand inspired by Japanese, Nordic, and Shaker designs. The company is all about sleek simplicity—which is probably why it launched with a tightly curated edit of only four pieces. The focus? Tables. A side table, bar cart, coffee table, and soon-to-launch desk round out the inaugural collection. With a price point ranging between $120 and $350, it’s great for anyone looking for mid-range affordable, well-designed tables. In fact, it’s that “mid-range” label that inspired Eugene Kim to start the company in the first place. Having graduated from IKEA, he found himself choosing between furniture at retailers or luxury boutiques—and in the process, discovered that a lot of furniture in the marketplace harbors a crazy markup making it 5-11 times the actual cost. Another way Dims differentiates itself from the saturated mid-range furniture marketplace is through its use of designers. Kim tapped seven emerging designers to collaborate on the products. Hailing from Stockholm to Seoul, these international designers are united in the belief that contemporary design should be democratic and affordable. It’s this core philosophy that unites the collection. Their shared design point of view is distinct and modern. Think sleek, simple pieces with clean lines and a minimalist sensibility inspired by Scandinavian and Japanese traditions. “With certain pieces like Caldera and Eave, you’ll feel the aesthetic influences of Nordic and Japanese design more strongly than others, but across the entire collection, you’ll find a commitment to stripping away; rather than adding for the sake of adding,” explains Kim of the brand’s signature look. “Dims was inspired by honest, functional traditions. Not just clean lines and minimalism, but also clever utility and the idea of achieving more with less. Wooden pieces like the Caldera coffee table and Eave desk (which can double as a small dining table) are subtly sophisticated. Rove, a portable tiny end table, and Barbican, a versatile rolling cart, are made from steel and will work well for smaller spaces. Everything is made with eco-friendly materials and non-toxic finishes, so you can breathe easy. Not in the market for a table but love the aesthetic and brand philosophy of Dims? Don’t worry: The company is planning a second launch in 2019, with eventual plans to branch out into a full array of lighting, accessories, and furniture available both in the US and abroad. Watch this space.